Mid century homes style are spaces that a certain look and feel that reminds us of general interior designs available to us during the mid 20th century. It’s gaining more and more popularity because everything retro is so trendy today. 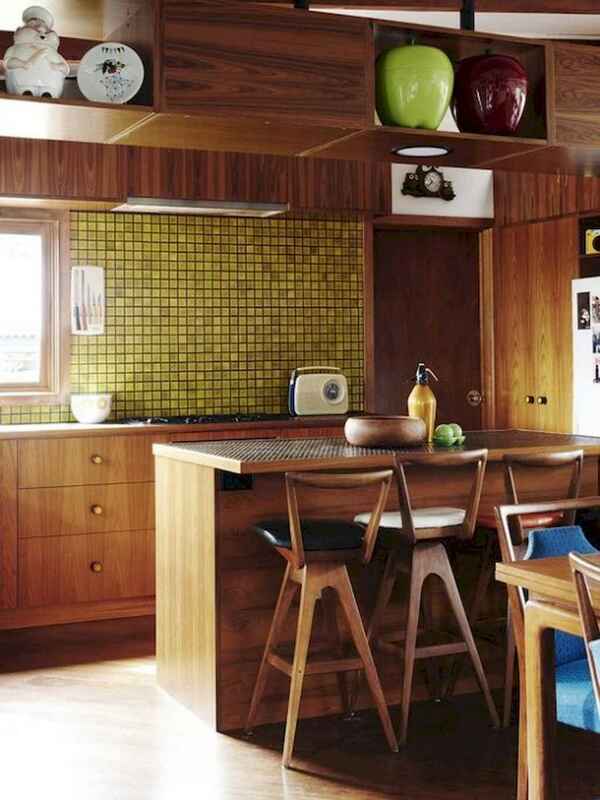 The clean lined yet quirky functionality of a mid century modern kitchen is classic enough to mix well with the style of the rest of your home. And for a small kitchen renovation, the era’s minimalism mid century allows you to maximize your space without sacrificing flair. Look at our 35 beautiful mid century kitchen design and decor ideas and find the right one for your perfect kitchen decor.